John and I will do our best to train our children in Bible reading, prayer, and service to God, but all of this must start with a foundation of prayer. The prayers we pray today can build our children’s foundation of faith in ways we can’t understand. When it comes to raising godly children we cannot neglect discipleship, and when it comes to discipleship we cannot neglect prayer. 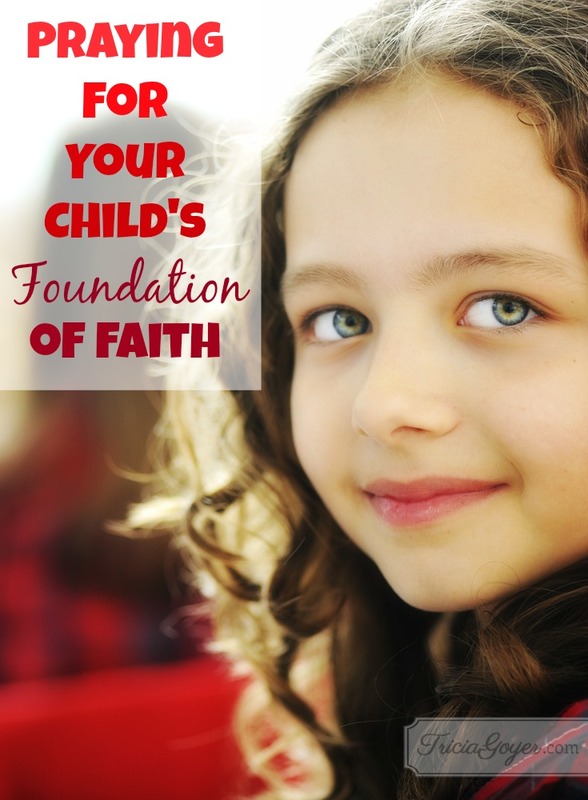 Want to build your child’s foundation of faith? Start with prayer. Lord, I pray there will be stability in __________’s times. I pray there will be an abundance of salvation, wisdom, and knowledge. I pray that the reverent fear and worship of you, Lord, will be __________’s treasure. Lord, I pray their worship will be your treasure, too. Isaiah 33:6 AMP. @TriciaGoyer shares 7 prayers to build your child’s foundation of faith! Dear Lord, please help me in being diligent to disciple my children. I want them to know You, know Your Word, and to follow after you all of their lives. Forgive me for wasting time on the meaningless pursuits of this world. Help me to guide my children toward You, and strengthen me to begin with a foundation of prayer. 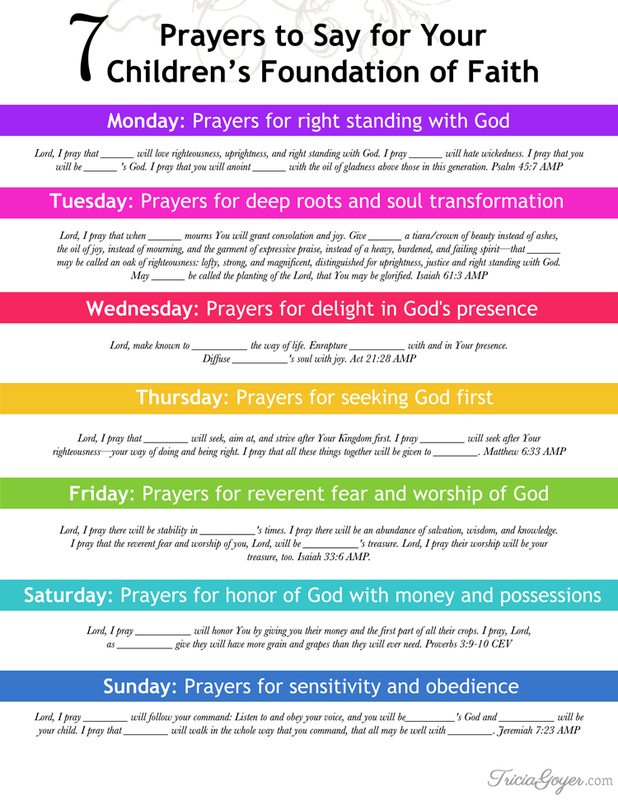 Download the printable and keep it handy for when you pray for your children each day! Thank you for sharing 7 Prayers to say for your child.